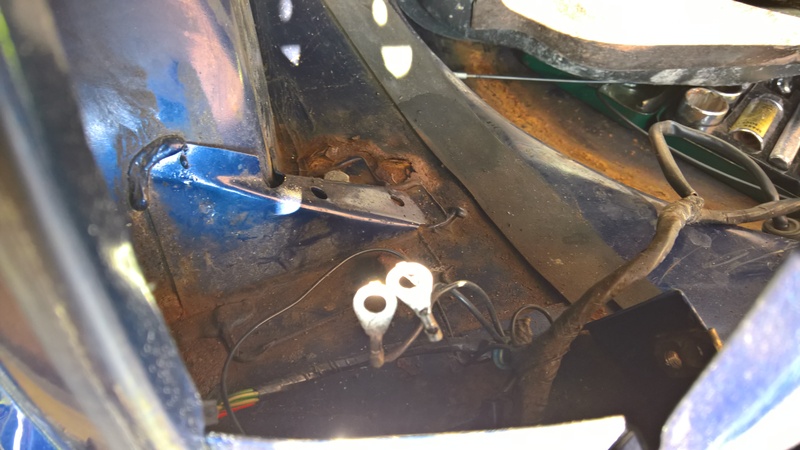 I am doing a semi resto on my 2000 Cooper ‘Classic’ and have stripped the back end to repair the boot floor and rear subframe mounting points in particular. Now putting it all back together but struggling with the fuel tank. On the rear bulkhead behind where the tank sits there is a bracket welded into the bulkhead, just below the captive bolt that holds the tank strap. It has not been touched during the repair work. My question is, does the tank push upto that bracket which then acts as some form of support against the pull of the tank strap or is the seam of the fuel tank supposed to go the other side of the bracket which would then support the tank more against the body of the car? 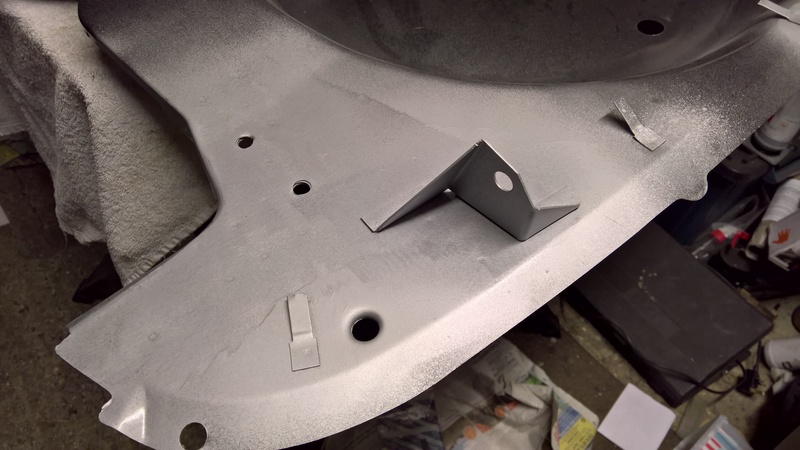 At the moment neither option seems to hold the tank firmly against the inner wing and the filler against the foam padding around the base of the filler pipe. 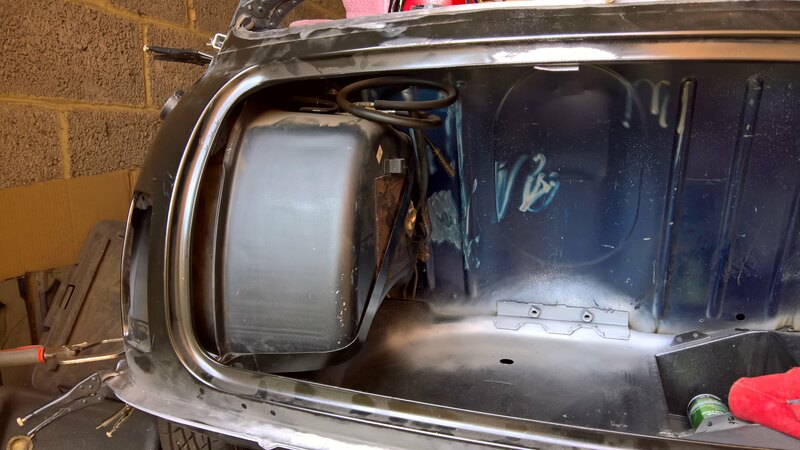 I probably have an issue with the strap bracket position as well - this has been welded back on to a new panel in the floor - but before I deal with that it would be good to know how the back of the tank should be located. Hope that all makes sense! I have searched for insight on this without success so far....but I am a newbie. Hi Pete, have you got the rubber strip on the boot floor for the tank to sit on too? Oh! No I haven’t. Another thing I’ve lost then - will have to have a search. I have found the rubber strip and will have another go. Wish I had done a trial fit before spraying! Any pictures of this rubber strip and where it goes ? I was thinking there should be something, I put in my own foam strip to stop the tank gauging the boot floor so much when put it in and out but if there's supposed to be something there 'officially' then that seems a good idea.. Thanks for pickie! Roughly how thick is that rubber piece? 2mm ? 3mm? more? Mines about 5mm thick rubber. Edited by Pops_Guild, 13 April 2019 - 07:26 AM. Here is a picture of the rubber strip I finally found which seems to be the one for under the tank. This one is just over 3mm thick. I’m still puzzling over whether the seam of the tank at the back sits against the bracket on the rear bulkhead or the other side (nearest the body of the car) as per my original post. Any clues on this gratefully received.